During one of the worst storms in the history of Tres Montes, Blanca goes into labor. The winds rage as Blanca grunts and groans to deliver her child. The minute daughter Sonia comes into the world, the storm ceases. All the residents of the tiny village see this baby as a sign from above signaling that she obtains special powers. Sonia grows up, asked to find missing sons or pray for the sick, and is given milagros—charms made of silver, as payment. Sonia knows she possesses no extraordinary abilities, but she spends many hours on her knees in prayer, believing she has an obligation to her neighbors, family and friends. When her prayers do not help to locate and bring safely home a missing young man, grief and depression consumes Sonia. The huge burden placed on her shoulders gives her a lot of pain. What can she do, and where would she go? These villagers need her and her overprotective parents want her to remain with them. Is she destined to spend her life in the small town working her fingers to the bone just to eke out a living? At age 16, Sonia learns she can get employment in the large mansion of a rich woman in the city. This is her chance to leave her cares behind and make some money to send home so hopefully, her father will no longer have to work in the dank and dangerous mines. Before she is due to depart, her brother, Rafael confesses his plans to leave, begging her not to disclose anything to their parents. He too, stifled by the conditions in which they live, wants to make his own way outside of their small rural community. Sonia journeys the long distance to her new venture, finding it exciting and liberating until she learns Rafael is missing. Though she is now living a somewhat luxurious life, fears about him and worries about her parents assault her. She finds herself homesick, not only for her family, but also for a young orphaned man named Pancho, whom she had befriended in school. Heartbroken because Pancho had not attended her going away party the night before she left, he nevertheless gets a note to her declaring his feelings. Soon Pancho arrives to help Sonia after learning about Rafael’s disappearance. Though Sonia’s employer is a tough taskmaster, she leaves with Pancho to search for her brother. The city proves to be very dangerous, and Sonia and Pancho face much peril, but Sonia now recognizes that family is what matters most. She must find Rafael and return home, even if it means living in near squalor and being beholden to the folks of her village who still believe in her powers. 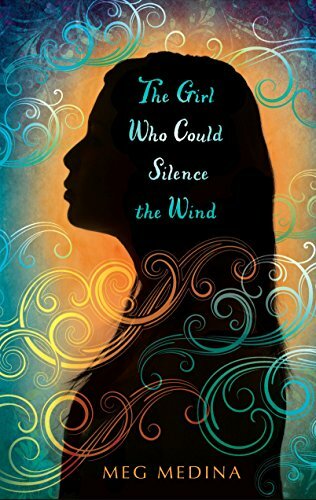 The plot of The Girl Who Could Silence the Wind is highly plausible, with down-to-earth characters and situations highlighting how a young woman learns to find her place and happiness in her world.